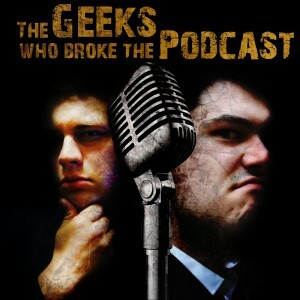 You are here: Home / News / The Geeks Who Broke The Podcast / TGWBTP #18: Star Trek! These are podcast of Captain Mayo and Sean The Kraken. Their ongoing mission, to explore strange new movies, to seek out new fandoms and new forms of geekery. To blame everything bad, on Michael Bay. Previous Previous post: Toy Soldier Of the Week: Commander Radar!! Because Micheal Bay does only WRONG! !